In late March, multiple reports indicated that the Iranian regime was escalating its intrusion into Yemen, where Iran-backed Shiite rebels control the capital and much of the north and west of the country. Tehran has consistently denied its role, but there is a history of Iranian enhancement of the capabilities of the Houthi, whose exploits include missile attacks deep into Saudi Arabia and attempted strikes on U.S. Navy vessels. It is crucial that President Trump break this cycle of violence. The simplest and most immediate way of doing so is by undermining the wealth and power of the IRGC — something that truly should have been done long ago. The National Council of Resistance of Iran issued a report in February detailing the growth of the Iranian Revolutionary Guards Corps’ training program for foreign-based terrorists and paramilitary fighters. Many new arrivals in Yemen are Afghanis who served under IRGC command in Syria. The sharing of personnel between Syria and Yemen confirms that the sectarian tensions on display in those conflicts are symptoms of a region-wide crisis that is being exacerbated by Iran. 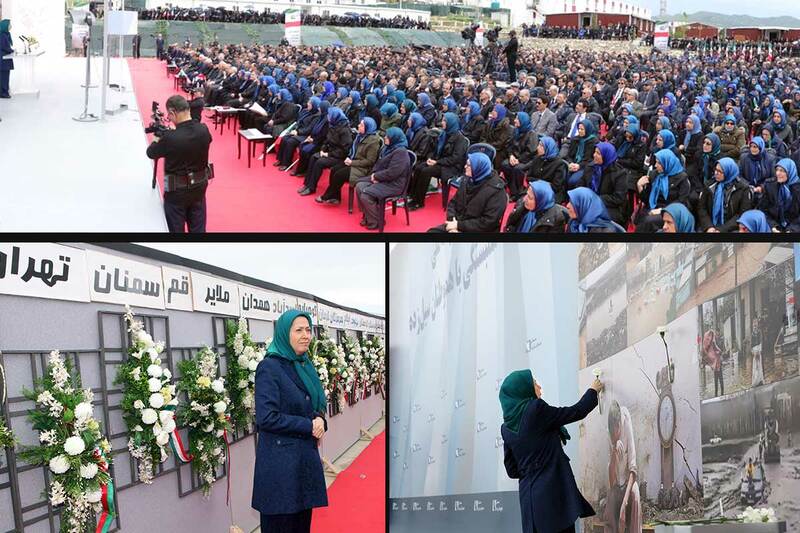 They serve as glaring examples of how meddling spearheaded by the Iranian regime is turning national conflicts into proxy wars which directly challenge Western interests in the region. A recent report by the Critical Threats Project sheds new light on the Iranian role in the intrusion into Yemen, identifying drone technology and other Iranian weapons allowing the Yemeni rebels to extend their reach. That report also highlighted a surge in foreign fighters, suggesting that Iran might be applying tactics like those used in the Syrian Civil War. The IRGC continues to flaunt its presence in regional conflicts to overstate its supremacy. This goes hand-in-hand with IRGC fast-attack vessels ignoring all attempts at radio contact and all warnings to harass U.S. Navy ships. Several close encounters have been reported since the new administration took office. It is clear that the escalation in Yemen is just the beginning. The IRGC will continue its overreach until directly confronted, or until it achieves the regional dominance it clearly seeks. The dangerous IRGC antics have reportedly more than doubled since the conclusion of nuclear negotiations in July 2015. Incidents in the final months of the Obama administration necessitated warning shots from the American ships, to which IRGC and other Iranian officials responded with boasts that the Islamic Republic is prepared to take on the U.S. military before it backs down from its interventions in the broader Middle East. The administration is already reviewing the possible designation of the IRGC as a Foreign Terrorist Organization, which would effectively blacklist the group from international markets and greatly reduce the risk of Western capital making its way into the hands of terrorists. The strategy has received considerable support from Congress, with the Senate Foreign Relations Committee working on a sanctions bill that would similarly apply terrorism-related sanctions to the entirety of the IRGC. There has also been some push-back, mostly from lobbyists affiliated with the Iranian regime, arguing that designating the IRGC would increase the risk of war between Iran and the U.S.
Actually, the opposite is true. The IRGC is pushing vigorously to draw the U.S. into proxy wars throughout the Middle East, none of which shows signs of reaching a peaceful conclusion as long as the IRGC remains involved. In contrast, since Trump put Tehran “on notice” following its January 29 ballistic missile test, the regime has shown willingness to cancel additional tests for fear of serious consequences. The IRGC has no interest in prudent cost-benefit analysis. As long as it is operating freely, unconstrained by economic sanctions, it will continue to antagonize all of its adversaries. To avoid war, the United States needs to show strength and decisiveness. Backing down will only embolden the IRGC and increase the risk of war. 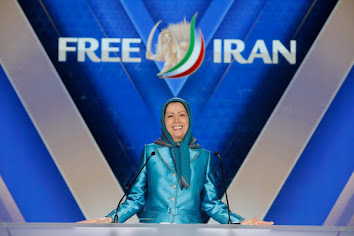 The only hope for a peaceful resolution to any of the regional crises is to confront the IRGC by political and economic means. The measures are already on the table. It remains to be seen whether the Trump Administration will step up and subject the IRGC to the blacklist it so richly deserves. Alireza Jafarzadeh, the deputy director of the Washington office of the National Council of Resistance of Iran, is credited with exposing Iranian nuclear sites in Natanz and Arak in 2002, triggering International Atomic Energy Agency inspections. He is the author of “The Iran Threat” (Palgrave MacMillan: 2008). His email isJafarzadeh@ncrius.org“>Jafarzadeh@ncrius.org.